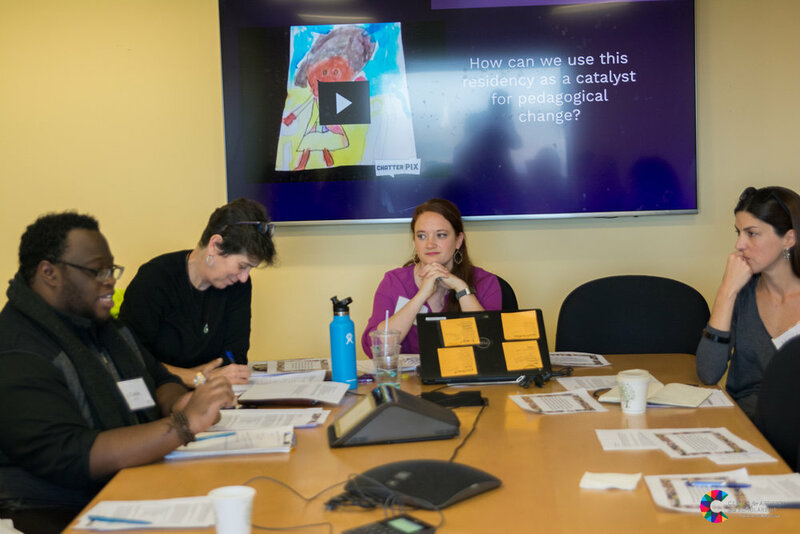 On January 18, 2019, we hosted one of the highlights of our year, the Perrone-Sizer Institute for Creative Leadership’s Capstone Consultancy Day at the Harvard Graduate School of Education. More than 100 leaders, experts, educators, students, family and friends turned out to participate in structured discussions designed to help each member of the 2018-2019 cohort explore a question arising out of their Capstone projects at mid-year. The Capstone is an opportunity for cohort members to pursue a project that engages multiple stakeholders in their school, organization, and community to effect change. Thanks to everyone who attended this inspiring, action-packed day and contributed to our PSi cohort's learning. What structural and cultural shifts does a traditional high school need to adopt to support older ELLs with lower ELD levels in reaching graduation? How would collaboration with teaching artists change the landscape of instruction for all teachers? How do we push school leaders and teachers to shift the balance of power in our schools and classrooms beyond theoretical agreement, and into living, practicing democratic classrooms? You can find a schedule of the day that includes all Capstone topics and key questions here. The consultancy was kind of a curated dry run for the meetings I'll need to have with people in my organization, CBO partners, and community members in order to move forward with both the "immediately deliverable" parts of my project (cementing partnerships to continue to bring in high-quality club content for kids) and the adaptive work that will be necessary for the larger "vision/revolution" part of the work (re-imagining our school day, structures, and pedagogy). I liked using the Consultancy protocol, and I found the feedback from my participants to be helpful. It moved me forward in my thinking. It was an excellent opportunity to display all of your skills and be pushed on multiple levels. What an incredible day! It was so impactful to present and be a part of a Consultancy. [My facilitator] kept us on track with the protocol to really dive deep into the questions. Exciting opportunity for students to test their ideas with a fresh audience. I really loved learning about what they're working on! I appreciated how the audience really grappled with the question and information presented and provided honest and constructive support. [What stood out for me was] the participants’ transparency...on passion, emotion, and leadership. The Consultancy was very meaningful to stay connected to the other professionals and their quest to have inquiries answered. Excellent!!! I was completely engaged while there and left energized and inspired! It is a privilege to share in the passion and love so evident in our cohort's work this year. → Want to know more about the PSi Capstone Leadership Project? Watch our video! → PSi is now accepting applications for 2019-2020. Learn more here: apply to PSi. The Center for Artistry and Scholarship Visits Brooke High School!